Look, we all know that a lap around the bar at Bergin's is called the Indy 500 (because you can go around and around while accomplishing absolutely nothing), but -- as the venerable institution celebrates its 80th anniversary -- we thought it was time to dig a little deeper for some of the stories behind the shamrocks. It happened in 1983 on St. Patrick's Day, and he's not the only Cali politician who has a link to the bar: Mayor Garcetti bartended there for St. Patrick's Day in 2014. His shamrock is still there, too. Kiefer Sutherland also has one, but that makes absolute sense. There used to be a punch card... and then there wasn't. There used to be a set number of drinks... and now there isn't. Basically, they have to really, really, really like you. Like, a lot. There was a period of my life when I was there four times a week, and I don't have a shamrock. So, like, five times a week at least? 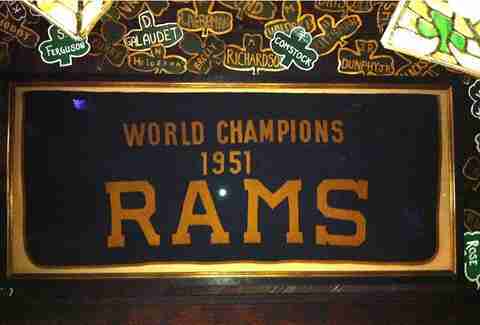 And the banner that proves it still hangs above the bar, hopefully to be joined soon by other LA championship football banners... right? RIGHT?? San Francisco columnist Stanton Delaplane brought it over from Shannon Airport in London in 1938 -- right after it was created. The recipe contains dark roast coffee, simple syrup, heavy cream, and Tullamore DEW whiskey, although after about three of them, you'll be saying Tullamore DON'T. It closed in 2013 -- seemingly for good -- until former regular Derek Schreck rescued it. Thanks, Derek! Can we buy you an Irish coffee?? 8. The original owner's name was... you guessed it... Frank! No, actually, it was Tom Bergin. But you bought it for a minute, right? 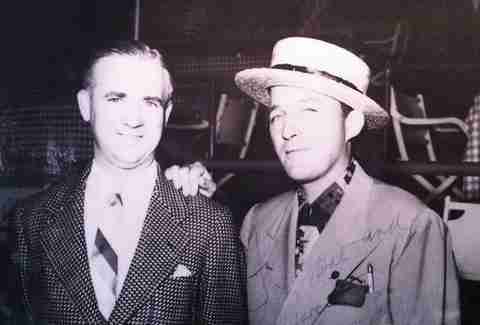 That's just three years after the end of prohibition, and just 41 years before the first Star Wars movie! It's called the Old Horseshoe Tavern, and it was founded in 1806 in Haymarket Square. 11. 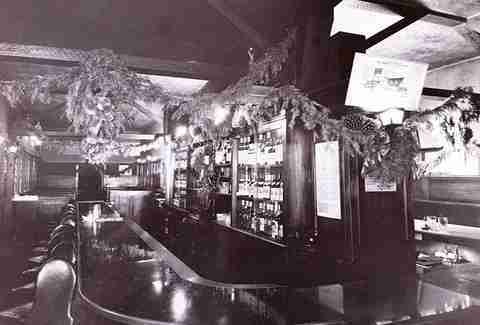 The iconic horseshoe bar? It was the inspiration for the bar in Cheers. Which explains why it feels like home. Well, that and the whiskey. Yes, seriously, it's called Vestal, and we've been there. 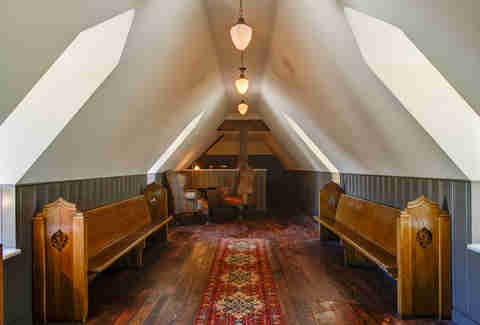 It's beautiful, and looks like the inside of a church, but, like one dedicated to whiskey. Yes, seriously. It'll be open soon. 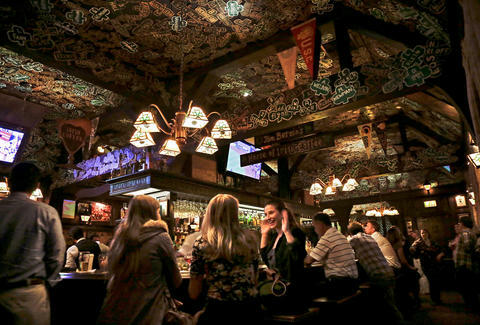 Jeff Miller has spent more time at Bergin's than any other bar in LA. 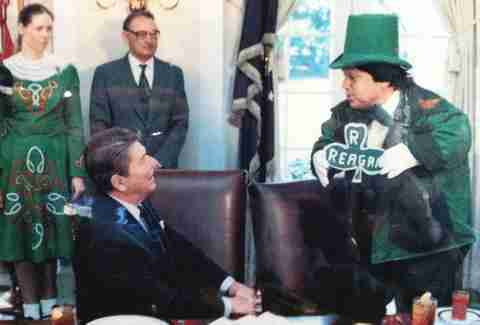 He does not have a shamrock. Find out if he ever gets one at @jeffmillerla on Instagram or @ThrillistLA on Twitter.